Mobile computing is growing in importance as a must have for your Nike Air More Uptempo employees and customers. The use of the internet, smart phones and tablets are common ways to access business information. Are your employees and customers able to get to their important documents and reports over the internet using their smart phones or tablets? The Association for Information and Image Management (AIIM) completed a survey in 2011 that gives insight into the use of smart phones, tablets and the internet. 64% of companies have no mobile access to their Nike Air More Uptempo documents or reports. 77% have no dedicated internet browser access to their documents or reports. 87% have no apps to access their documents or reports on a smart phone or tablet. The RVI solutions provide mobile image access capabilities to access your business documents immediately from anywhere at any time. 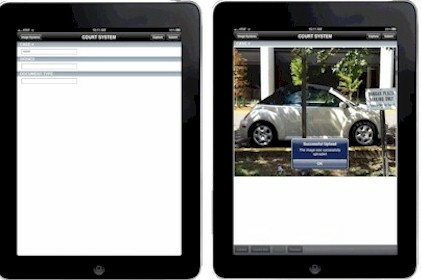 RVI has developed mobile apps for the Apple iPhone, iPad, and iTouch. We also have mobile apps for Android and Windows phones. All of these mobile applications are “FREE” to our customers and are available immediately as downloads from the app stores. It is like taking your file cabinets with you as you visit customer sites. In addition, RVI has partnered with Quadrant software to create the RVI Mobile Signature Capture native application that allows signature capture on an Apple iPad, iPhone or iTouch. Now you can have a customer sign your documents at their Nike Air More Uptempo locations and within seconds have the completed documents returned for internal processing and invoicing. Medical - patient information, lab reports, doctor notes, etc. Transportation - shipping documents, purchase orders, invoices, etc. Government - police reports, utility documents, court documents, clerk of court documents, code enforcement, etc. Manufacturing / Distribution - hazardous material documents, assembly instructions, inspection forms, delivery documents, etc. Banking - loan department, trust department, regulatory compliance, audits, customer information, statements, etc. This entry was posted in Informational and tagged Android app, document imaging software, enterprise content management, green screen, IBM i applications, ibm solution, ipad app, iPhone app, mobile image access, mobile signature capture on February 19, 2012 by debram. As a business owner in today’s scarpe basket jordan market, more and more emphasis is being directed toward improved customer service, improved employee efficiency and faster AR processing. Without adding new employees, how can businesses minimize delivery time, automate the proof of delivery process and reduce the Accounts Receivable lag time? Fixing these problems can be easily accomplished with the new RVI Apple Application. 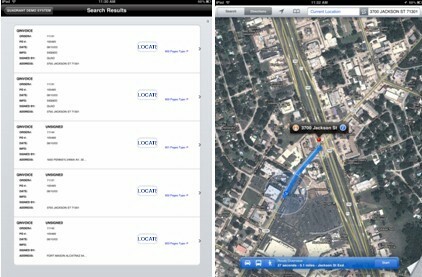 GPS map locator button on the RVI Apple mobile signature capture application. 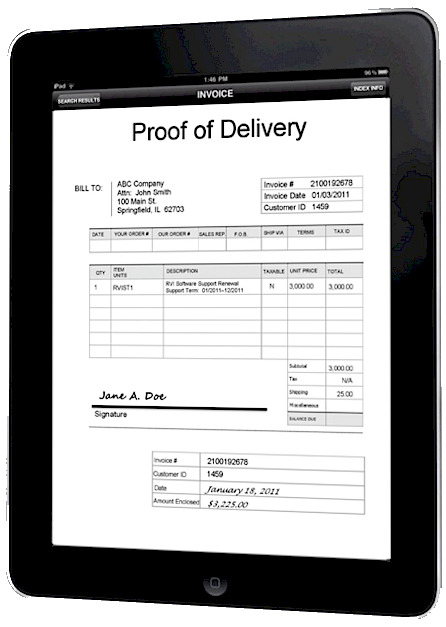 Employees who make deliveries or service calls can get a list of customer’s addresses for their deliveries or calls from the RVI solution on an Apple iPad, iPhone or iTouch. The scarpe basket jordan user can press a LOCATE button on the screen that shows the customer address. The RVI application will immediately show them a GPS street map of the customer location. Now they know exactly where the customer is located and how to get there! Import and Index Pictures from the Camera using the device camera or camera roll. Line up your shot, press the Capture button, index the image, and upload it into an RVI image system. It's as simple as that! Pictures already in your device camera roll can also be indexed and uploaded. 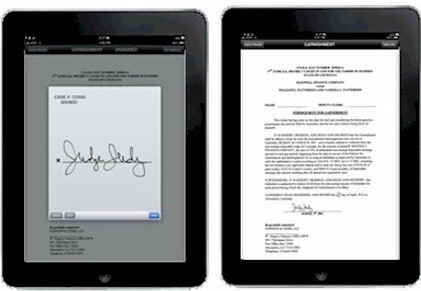 Mobile Signature Capture on a document using the Apple devices. 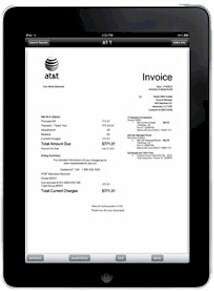 As an example, when your personnel complete the delivery or service, the customer can sign the related documents on the Apple device. The scarpe basket jordan signature is captured and placed in the document and can be immediately emailed to the office and the customer. RVI Workflow & Approval capabilities. RVI has enabled workflow routing and approval features to allow you access to your RVI workbasket on an Apple device. 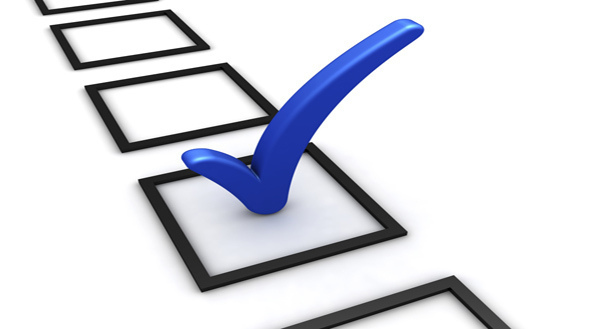 The remote approval feature allows you to approve or disapprove an invoice, claim, loan, order, etc. This ability allows you to work with your workbasket items anywhere, anytime! This entry was posted in Informational and tagged Android app, enterprise content management, iPhone app, mobile app, mobile image access, mobile signature capture, RVI Complete System on February 14, 2012 by debram. On June 14, 2011, IBM announced a list of scarpe jordan uomo products that they are phasing out. Among those products are the 3995/3996 Optical Libraries. IBM will STOP SERVICE and SUPPORT on these machines on December 31, 2012. RVI can work with you to provide conversion custom code to move your data from the 3995/3996 Optical Libraries to new storage devices. This can be time intensive depending on the number of optical cartridges a customer needs to convert. We expect there to be many customers that will need our conversion services in the coming months, please contact us to schedule your conversion as soon as you can. For a custom code proposal, contact Kenny Smith at scarpe jordan uomo our office (318-449-4579) or email him at kenny@realvisionsoftware.com. For more information about RVI data storage options, please visit http://www.realvisionsoftware.com click Features, click Data Storage. This entry was posted in Informational and tagged 3995 Optical Library, 3996 Optical Library, document imaging software, enterprise content management, IBM i applications, ibm solution on February 8, 2012 by debram. Most of your core jordan femme business applications run on an IBM i server with a “green-screen” look. They are rock-solid and run very efficiently just like you expect them to perform. While your users are comfortable working in this environment, they politely refer to the green-screen look as their “legacy applications”. Sure, you would like to pursue a document imaging solution, but your jordan femme users insist on a graphical look for any new applications you provide. You’ve considered a PC Windows solution but frankly the idea of bringing in a bunch of new servers and trying to integrate them with your current applications is a bit more than you care to take on right now. And you have given up trying to figure out how much this is going to cost your company! Real Vision Imaging (RVI) has it covered for you! RVI was built for integration with your IBM i applications, provides flexible interface options and has easy-to-understand pricing. Simple is definitely better! RVI is a document image and spool / file report capture solution that runs on the same IBM i server as your core business applications. RVI supports multiple interface options so your users can move easily from their application to the content they need to access with whatever look you choose to provide. That means you can present the RVI Sub-File with a “green-screen” look that the users are already familiar with or one of RVI’s “browser” options to deliver a more GUI look. RVI even has a mobile APP so users can access business content from their Apple or Droid devices. So how much extra do these interface options cost? Nothing! With RVI, you have a native IBM i solution that offers comprehensive features with jordan femme flexible integration options and easy-to-understand pricing. With RVI’s model-based pricing you don’t pay extra for additional modules, users or scan stations like most other PC solutions you may have considered. This entry was posted in Informational and tagged Android app, document imaging software, enterprise content management, green screen, IBM i applications, ibm solution, ipad app, iPhone app, legacy application, mobile app, mobile image access, mobile signature capture on February 7, 2012 by debram. A recent survey by the Association for Image and information Management (AIIM) revealed some interesting research on the challenges of managing information. Paperless solutions have been readily available for over 20 years, yet AIIM* reports that 33% of small and medium businesses have yet to adopt ANY paper-free processes. These are real business problems that need to be addressed. Your customers really "care" why it takes so long for you to respond to their inquiry. It shows inefficiency and a poor level of service. You could loose a customer and that costs you profit. Real Vision Imaging (RVI) enables you to digitally capture your documents so they are instantly accessible from your office PC or over the web using your laptop, smart phone or tablet device. RVI includes all the necessary functions to capture, secure, archive and manage your business content. RVI is easily interfaced with your core applications so users can quickly locate, view, print, email or fax documents from anywhere at any time! What are your major challenges managing your information? 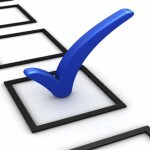 Do these survey responses sound a little too familiar? Give us a call and we'll show you how RVI can jump-start your revolution against paperwork! *AIIM offers high quality research, whitepapers, presentations and more at no charge. Please visit http://www.aiim.org/research for free research report downloads of your own. This entry was posted in Informational on February 6, 2012 by debram.